In six captivating DVD video sessions, pastor and New York Times bestselling author Timothy Keller opens your eyes to the powerful message of Jesus' best-known�and least understood�parable. The Prodigal God is a revelation of the very heart of the gospel: God's radical love for sinners of every kind. Taking you and your small group or church beyond the traditional focus on the wayward younger son, Dr. Keller helps you glean insights from each of the characters in Jesus' parable: the irreligious younger son, the moralistic elder son, and the Father who lavishes his love on both. The Prodigal God will challenge the devout and the skeptic alike to see Christianity in a whole new way. 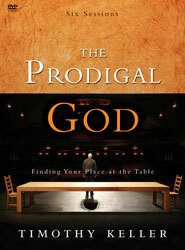 Designed for use with The Prodigal God Discussion Guide and book.